The company offers a full range of software solutions and services that optimises the use of data from medical images for clinical trials and radiation oncology. Triptych for employees to learn how to avoid stress at work. 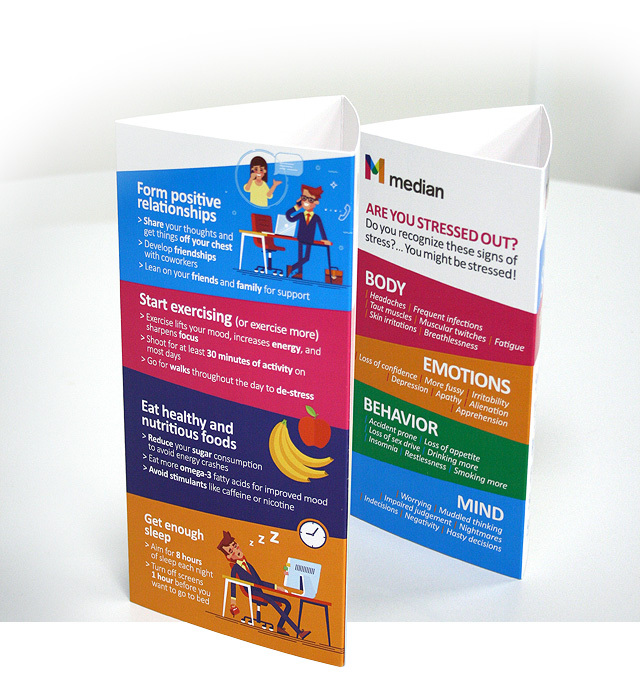 Design made by our graphic department and manufactured on thick paper in order to place it on a desk.